As I am preparing for 2009 I have been thinking of what I want to accomplish in my creativity throughout the year. They most definitely include more FO’s in all of my crafts, increase my skill level in all crafts and explore my dream of creating a pattern in knitting. This dream has been on my mind for over a year or so now and I have been getting ready for this for a while now but in the last few months I’ve invested in some material to research the process and how to set up schematics and the like. Here’s some of the material I’ve chosen to help me. 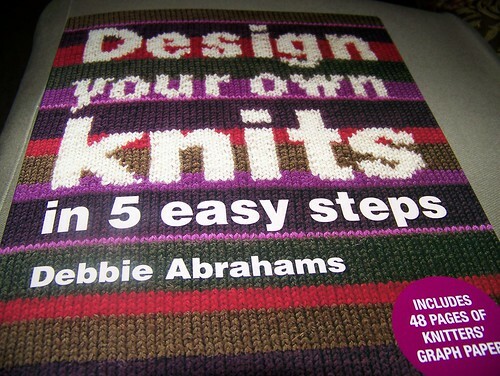 I chose this book as it says you can design in 5 easy steps. I took this out the other day and started reading up on getting started as my first project has to incorporate cables. 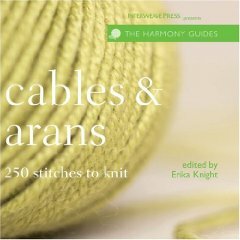 I didn’t want to do anything really simplistic I was looking for something with a bit of texture so I also purchased this book for reference on cable patterns. 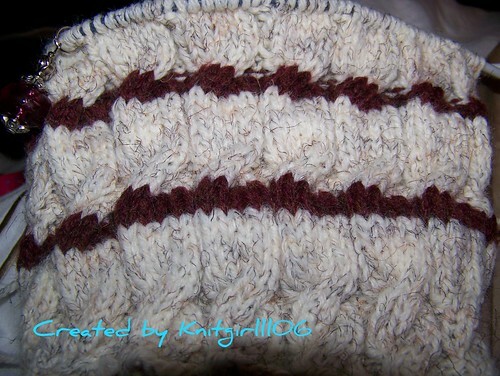 I’m almost done with this cap and will add new photos of it completed along with my thoughts on how it worked out. One of the Dr.’s that I work for just had her 2nd child on Christmas morning and I thought I’d make something for the baby. So I pulled out my one of my books that I declare will get more use in 2009 to find something quick to make and this is what I found the Bamboo Sweater on Ravelry. This has been a quick and easy little project and I will post the FO pic after I weave in the ends and add the buttons which I still have to find. I hope as the year comes to an end you have reviewed your work, noted your growth, put your complications/failures into perspective, and more than anything else set out to plan for more productive, educational and fun projects.